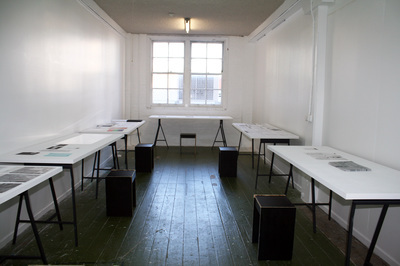 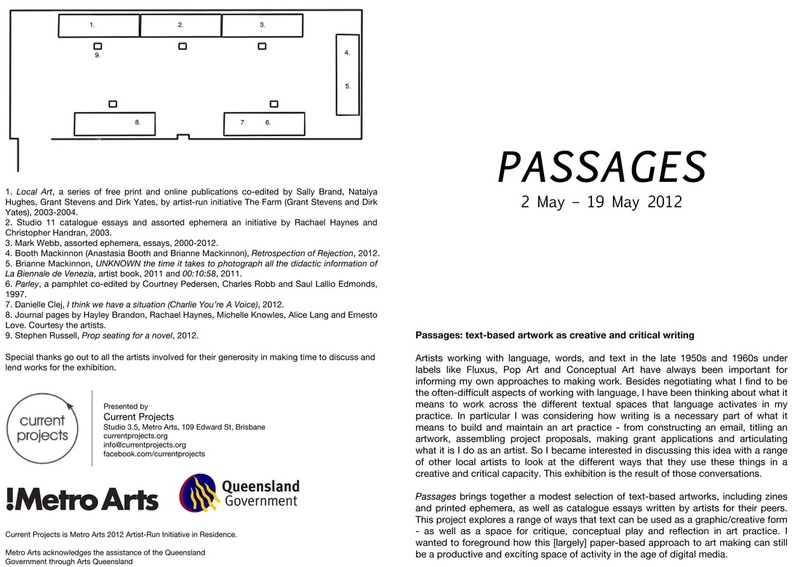 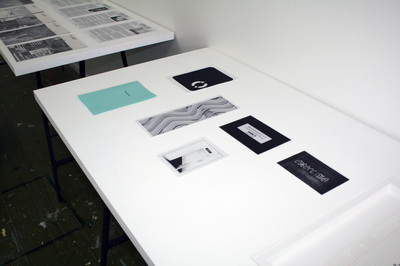 Passages brought together a selection of Brisbane based artists who make text-based artworks, including zines, catalogue essays and ephemera that engage the spaces of visual art and critical writing. 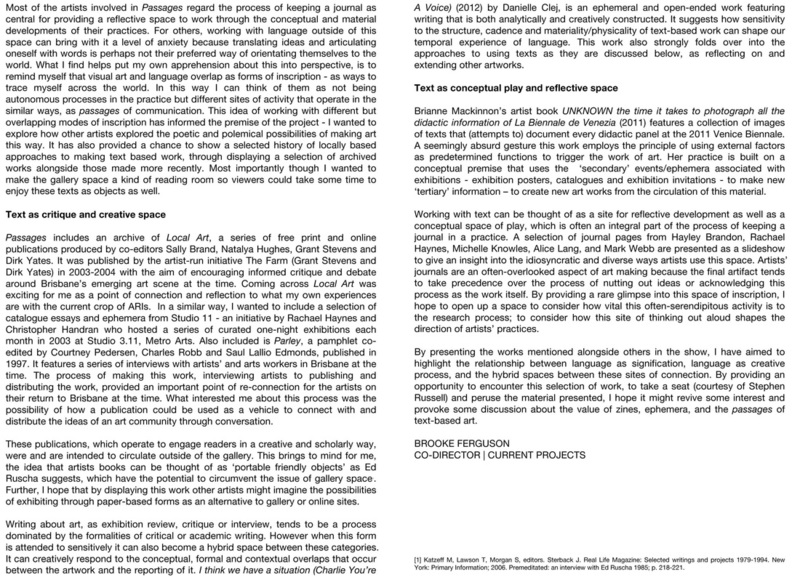 It investigated how text and language have been used to open up the possibilities for making and discussing art practice. 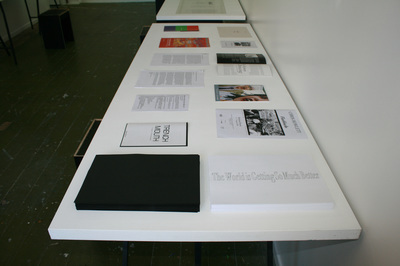 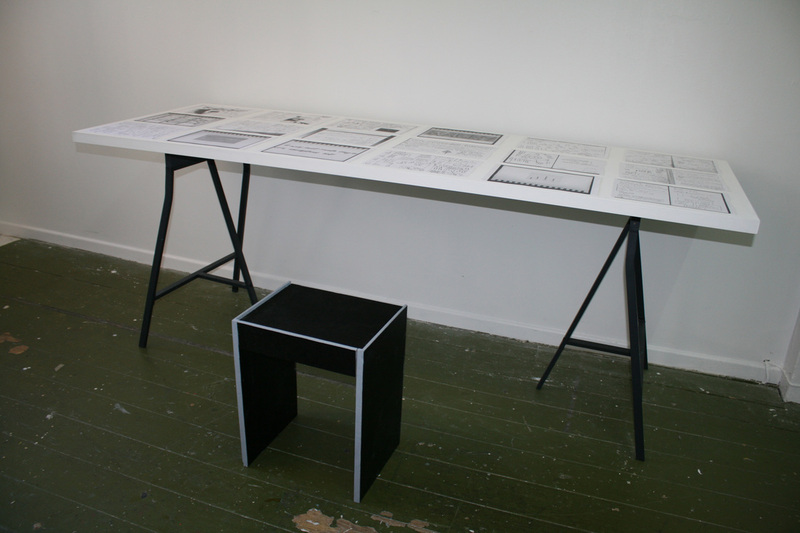 This project explored a range of the ways that text can be used as a graphic/creative form – as well as a space for critical reflection and observation in art practice. It highlighted how a range of Brisbane artists approach the relationship between language as signification, language as critical response, and the hybrid spaces between these sites of connection. 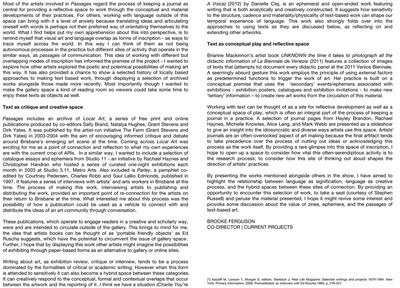 This project wanted to foreground how this approach to art making can be a productive and exciting space of creative and critical activity in the age of digital media.